Summer-plumage Dunlin (Calidris alpina). Summer plumage. Taken at Farmoor, Oxon., on April 25th 2018. Summer plumage. Taken at Farmoor, Oxon., on April 25th 2018. Winter-plumage Dunlin (Calidris alpina). Winter plumage. Taken at Farmoor, Oxon., on April 3rd 2011. Winter plumage. Taken at Farmoor, Oxon., on April 3rd 2011. Dunlin (Calidris alpina). Juvenile. Taken at Farmoor, Oxon., on September 9th 2018. Juvenile. Taken at Farmoor, Oxon., on September 9th 2018. 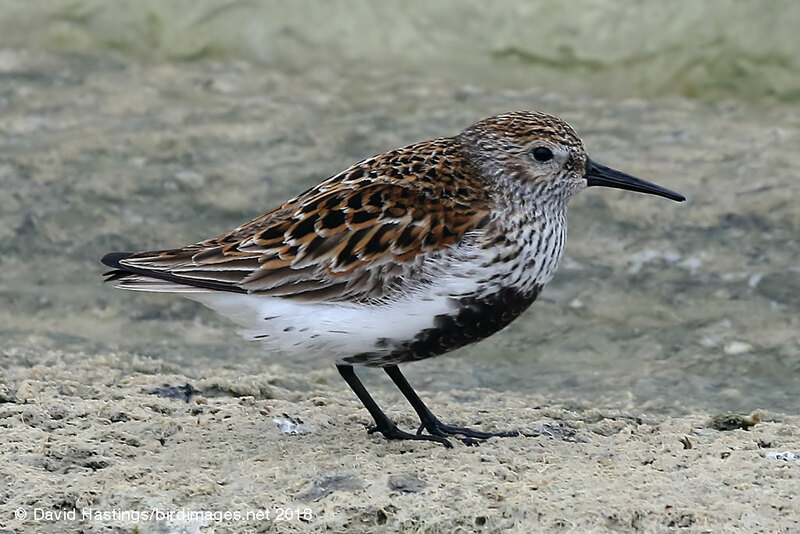 The Dunlin is the commonest small wader found along the British coast. It has a slightly down-curved bill and a distinctive black belly patch in breeding plumage. 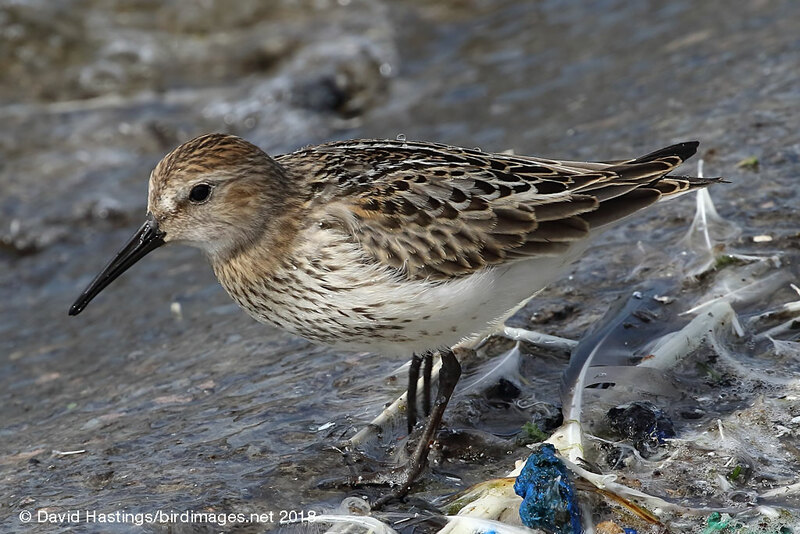 There are three subspecies of Dunlin, differing in bill length and the brightness of the rufous upperparts. Ssp arctica is shortest-billed and least rufous; ssp schinzii has intermediate bill length and rufousness; ssp alpina has the longest bill and the most rufousness. Actually being able to separate them is quite difficult, but the shortest-bill individuals are probably male arctica or schinzii, and the longest billed are probably female alpina. 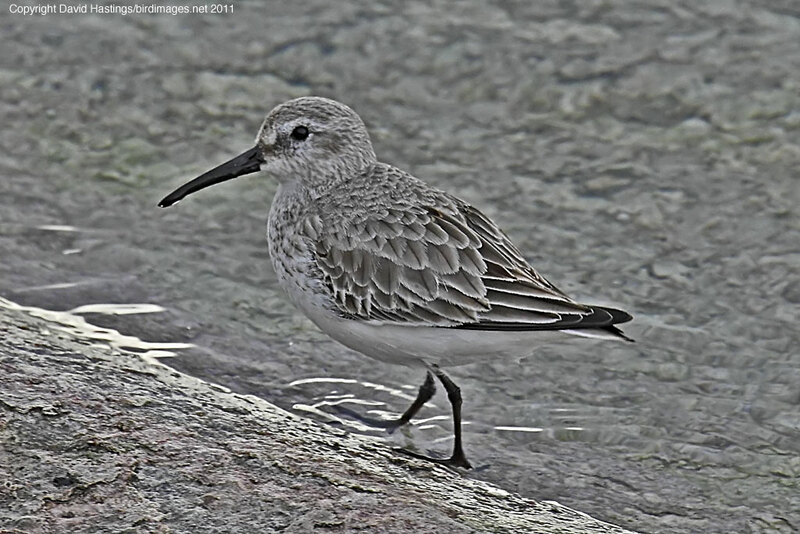 Dunlin can be found on the coast at any time of year. They breed in upload areas in south-west and northern England, Wales and Scotland. They feed in flocks in winter, sometimes numbering thousands, roosting on nearby fields, saltmarshes and shore when the tide is high. Around 10000 pairs breed in Britain, with over half a million birds spending the winter here. However, this species on on the UK 'red' list.